Today I'm sharing some of our favorite outdoor toys! Now that Spring is in full swing, we are outside every day. My kids LOVE playing on our swingset! They go on it every time we are in the backyard. We have one similar to this one but this looks pretty awesome as well. And I know my kids would just love it if we ever upgraded to something like this! 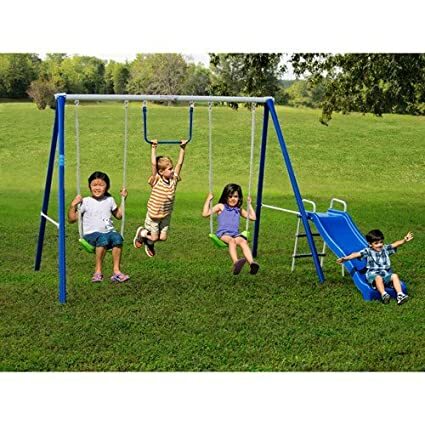 I know a huge swingset might not be in the budget for everyone, I saw these that look just as fun! My kids have really enjoyed this little playhouse my Mom and Sister/BIL got for Ella's 2nd birthday. Now that Avery is moving around, she loves to hang in here too! I saw these others that look super fun too! 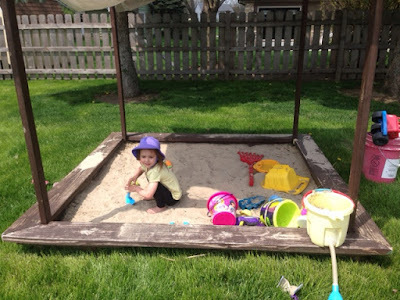 I was fortunate to have my hubby build one for our kids and this is hands down Ella's favorite outside "toy"
I think this one and this one are great options too! Another huge hit in the toy department! 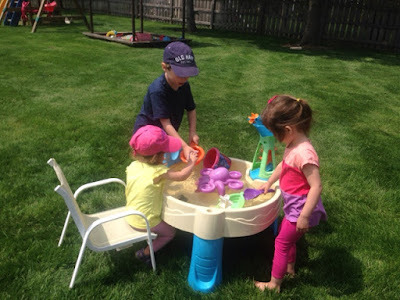 All of my kids have LOVED playing with a water table. 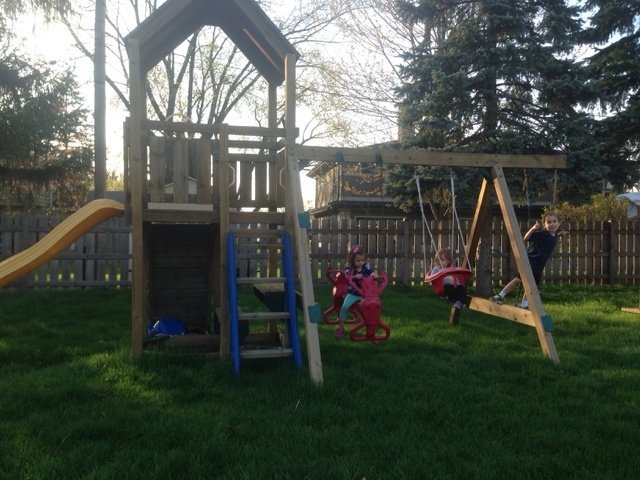 We broke it out this past weekend when we had some really nice weather and all 3 kids played with it for hours! Hours people!! We have this one and love it! During the summer, all of this stuff is pretty much spread throughout our lawn and it looks like a hot mess, but I love it, it shows kids live here and are having fun! What are your favorite outdoor toys?? Love all of your suggestions! We pretty much have all of the same outdoor toys. A suggestion for you that I have is a trampoline. We love ours!! It gets played with ton! Let us know how the water balloons work out. I have been wanting to try them. Have a great weekend!! We just ordered a combo playhouse/climbing structure thing for the boys and I can't wait for it to arrive!!! A little spendy for sure (It's Step2 brand.. their stuff... yikes) but we finally have a backyard after being in a townhouse for many years so we wanted to celebrate and give them something to really play with in the yard! Our kids have been begging for something in our backyard and our yard is definitely big enough, but Brian and I always swore that we wouldn't be having a playground in the back yard. Lol. I guess we may have to change our minds on that one. And we've been wanting a water table as well... I saved a couple on Amazon but haven't pulled the trigger yet! I LOVED our play structure that we purchased from Costco a few years ago. We even moved it from Texas to Mississippi and it never shook loose, which surprised me quite a bit.